Alan’s Healey was built in 2005 and fully finished & assembled in 2006. 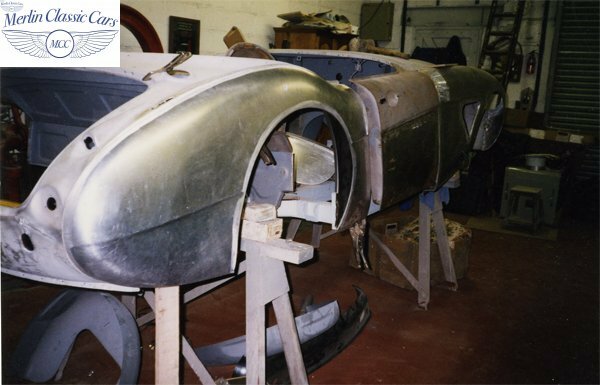 The chassis of the car is a prime example of one of Merlin Classic Cars newly fabricated cold zinc sprayed chassis’, the added cold zinc spray means any stone chips that occur simply don’t rust. 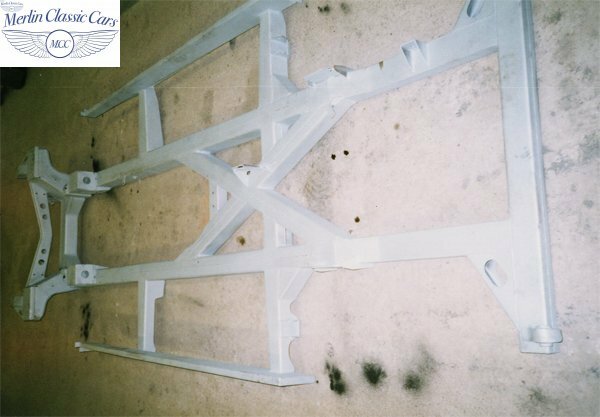 The chassis was designed & reinforced in various places specifically for racing and has a Safety Devices bolt in rollcage. On top of the new chassis sits an all aluminium body, along with a Merlin Classics hand fabricated aluminium & tubular framed hard top, inside are racing seats and 5 point harnesses. 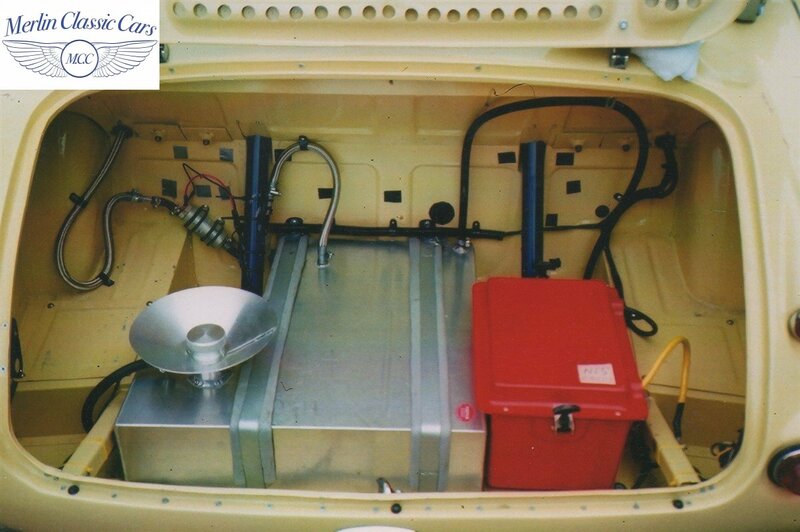 There is also a fully plumbed in fire extinguisher system which covers the engine bay and drivers’ footwell. 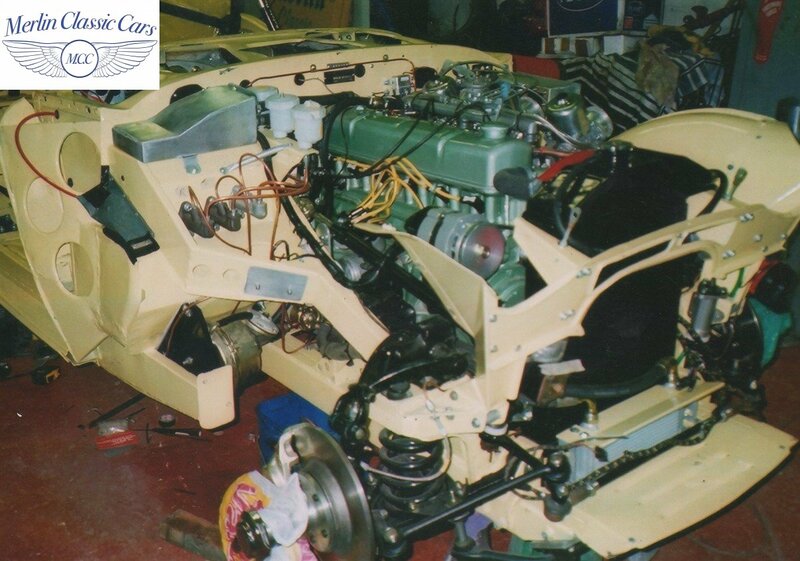 The only parts of the original cars’ chassis & body configuration are the front bulkhead along with front & rear shrouds, everything else was new upon completion. The car rides on uprated springs and shock absorbers with new Dennis Welsh front uprights. It also has callipers & disc brakes all round, the rears being from a Jaguar XJ6. It has a quick steering box and collapsible column. The engine however is probably one of the most impressive parts of the car, it is fully balanced and blueprinted, meaning all the engines sections of internal components weigh the same. Originally built with triple 2″ S.U carburettors, these were later swapped for triple Weber 45’s. It has a ported and gas flowed cylinder head, Dennis Welsh exhaust silencer, aluminium sump, harmonically balanced crank pulley, knife-edged & polished steel crank, J.E. forged pistons & Farndon racing con rods. It also has a skeleton flywheel & twin sintered A.E. clutch. The gearbox which has been internally polished has a Sebring ratio straight cut box with uprated overdrive, this feeds the rebuilt and balanced prop shaft into a 4.1 ratio Quaffe limited slip diff. 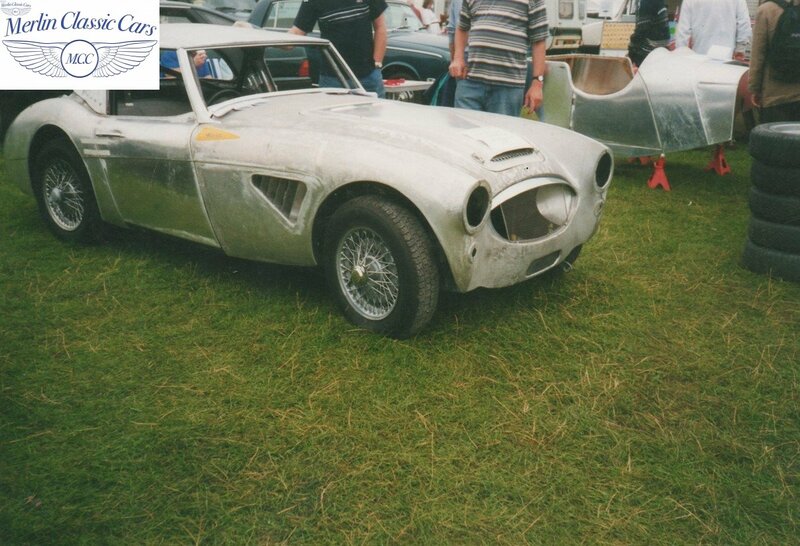 Put all this together and you end up with one of the top Austin Healey race cars in the UK.